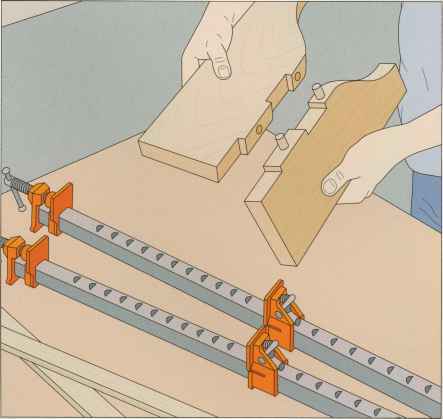 Cut out the legs on the band saw. Start with the curve, simply cutting on or just outside the marked line. 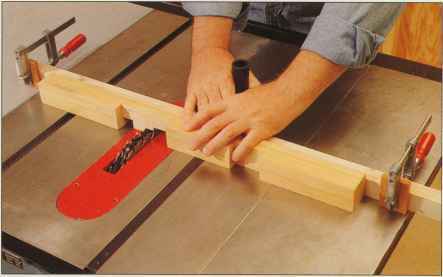 To cut out the notches, first make a short cross-grain cut to define the mortise end. Next make a sweeping cut towards, then along, the mortise side line until you reach the other crossgrain mark. Cut this section free (right). Finally reorient the board and remove the rest of the waste. Sand off any machining marks from the curve.